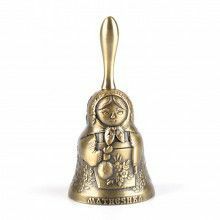 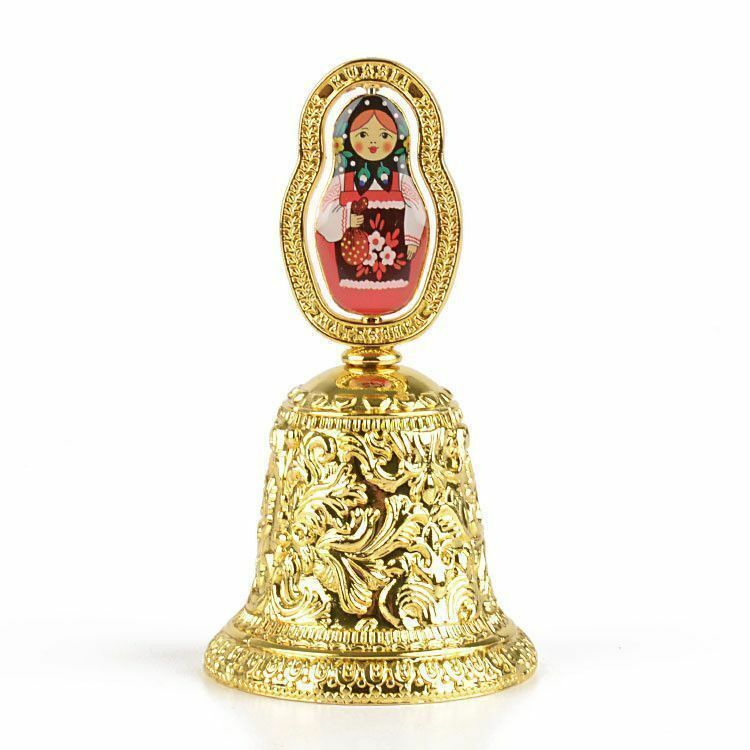 This gold color bell features a filigree design all around and a colorful, spinning matryoshka Russian doll. 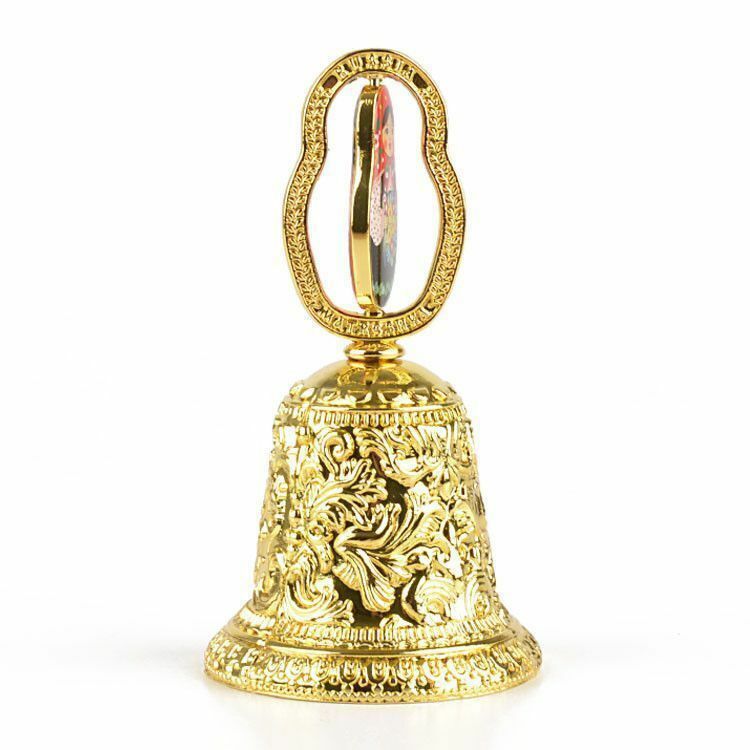 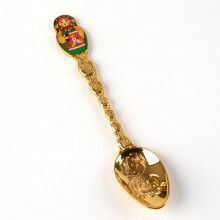 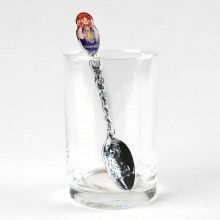 It is made of a special alloy metal that allows the ringing to be strong, clear, and very pleasant. 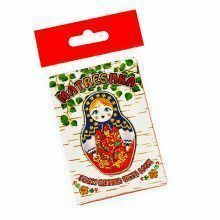 It is about 3 1/2" tall and 2" wide. 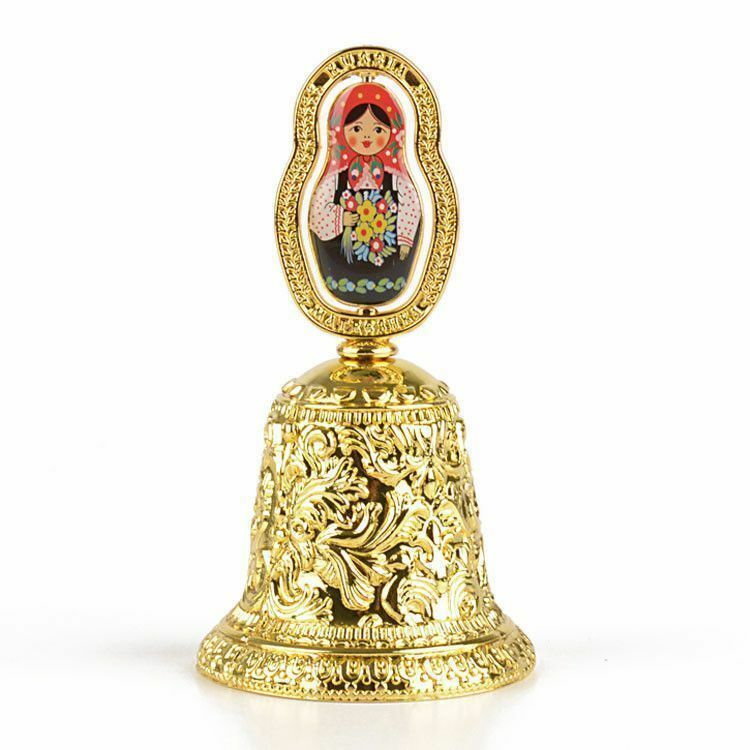 Great for bell collectors or unique nesting doll collections!